Do you dream of spending the day with your feet in the sand, riding a bike through quaint streets or feeling the breeze from the ocean cooling your skin? Many people search out the perfect place to spend a week of vacation bliss with the ones they love. Heading to the coast is so common that many famous coastal communities start booking a year, if not more, in advance. If you are still planning on where you want to spend your warm weather get-away, check out these top seaside towns that are ranked as some of the happiest beach communities in the United States. 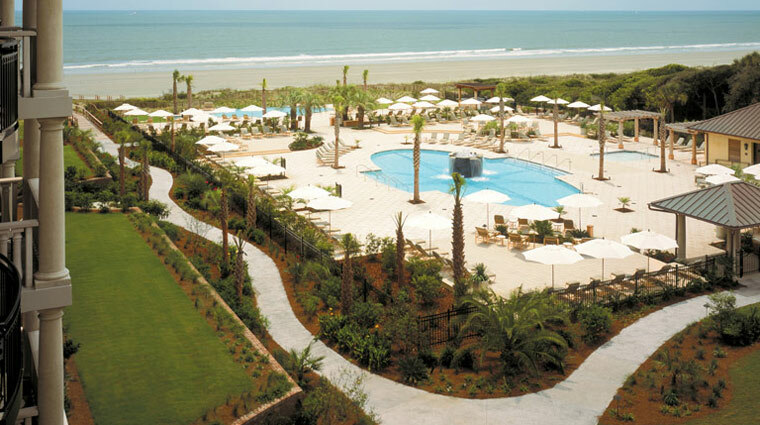 Kiawah Island is a barrier island located on the warm and welcoming South Carolina coast. 10 miles of fine sand beach, palmetto and magnolia trees and over 30 miles of paved bike paths call this charming community home. The small town feel is fabulous, but with close proximity to Charleston, tourists can easily hit a bigger city for a day as well. Other amazing features of this seaside town are 5 award winning golf courses, a fantastic shopping village and some of the freshest seafood around. When heading here, travelers cannot go wrong staying at the beautiful Sanctuary Hotel Kiawah Island. 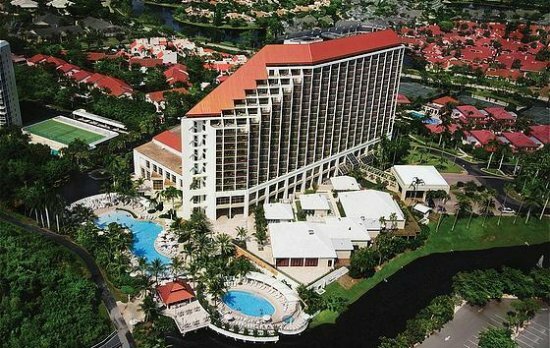 Here guests will be treated to oceanfront accommodations that are some of the finest on the Island. The resort boasts an indulgent spa, spacious and elegant rooms, and a delightful staff. The Sanctuary pampers you from the minute you step foot on the grounds of this exquisite mansion hotel, so get ready to see what true luxury feels like on Kiawah Island. 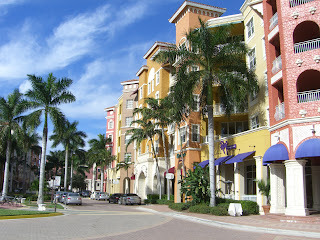 The next location is a glamorous Florida city that is nestled on the beautiful Gulf Coast. Back in the late 1800's its climate and amazing fishing reminded many of a charming village in Italy called Naples. Although today Naples, Florida still shares a name with the Italian city across the ocean, its community has grown into something much from grand and luxurious. Naples is rich culture and offers orchestra and theater groups. Because the town has a strong local art scene, the entire area has grown into a chic and trendy must travel destination. Open air markets, high-end boutiques as well as artisan and antique shops are sprinkled throughout the city and add style to the seaside town. If you are lucky enough to find yourself traveling to marvelous Naples, you absolutely want to check into one of the Best Hotels in Naples, Florida. 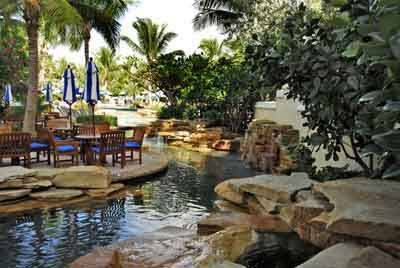 The beautiful Waldorf Astoria Naples is always a wise choice. With panoramic views of the gulf, a friendly staff, championship golf and the rejuvenating Golden Door Spa, you won't be disappointed during your time here. Another fine choice is the LaPlaya Beach and Golf Resort offering guests a private beachfront, waterfront dining, a peaceful spa and what Conde Nast considered the #1 golf resort in Florida for two years. Discover deluxe accommodations and delectable dining at this incredible award winning resort. Naples, Florida welcomes you with open, and very stylish, arms. Heading up the east coast will find you traveling toward our next hospitable coastal city. Situated in the legendary Cape Cod area sits the historic town of Chatham, Massachusetts. The summer months welcome throngs of tourists looking to spend some memorable days in this epic town. A walking tour through town will showcase the classic shingled cottages that are the quintessential New England style. Since it's 18th century beginnings this town has had a sense of community and family. Narrow streets and tree lined sidewalks only add to the fairy tale feel of the town. The Main Street area tempts tourists with family owned restaurants offering scrumptious clam chowder and adorable shops with trendy finds. Let's not forget a visit to the Chatham Lighthouse to see a fleet of boats heading toward shore. Upon arrival to this Massachusetts town, head to the lovely Chatham Bars Inn for a unforgettable stay. 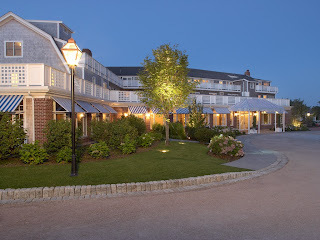 Considered New England's finest family luxury resort, Chatham Bars Inn easily impresses with a welcoming pool that overlooks the beautiful beach, a spa retreat, fine dining and maybe even a beachfront clambake. Old-fashioned values meet modern day charm in the legendary town of Chatham, Massachusetts. Our last two towns are located on the always fabulous west coast. First we look at sensational Sausalita, California. The citizens that are blessed to call Sausalita home love the town for many reasons. Hovering above Richardson Bay on the wooded hillside, this California town is surrounded by the gorgeous Golden Gate National Recreation Area offering visitors and town folk truly breathtaking landscape. Nearby, tourists can find clean sandy beaches and clear waters that are simply enticing. Considered to have bohemian roots, the towns people start the day with an espresso at one of the dreamy local cafes and close out the day with a bit of wine tasting while watching the sun set over the horizon. The San Francisco suburb is quiet and ready to welcome guests. One incredible place to stay is in the understated luxury of the Cavallo Point hotel. This unique resort gives guest the choice of experiencing historic charm by staying at Fort Baker, a former army base, or selecting Green lodging in the contemporary hillside rooms that are situated above the historic fort. Whichever you choose, both promise an unforgettable experience. Indulge in culinary artistry at the restaurant or bar, enjoy a calming treatment at the spa or maybe try a cooking class at the highly rated cooking school located at Cavallo Point. Boredom is not an option when you travel to Sausalita, California. 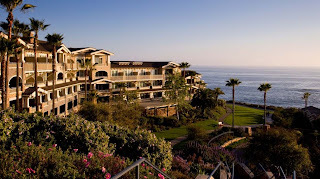 Laguna Beach, California is located south of very hip L.A. and once again this village is known for it's artistic base. Laguna Beach has a delightful walk-able downtown area that is inspired and funky. Summers are full of surfers, outdoor dining and art festivals. Unspoiled coves, sweeping views and lots of open space are all characteristics of this California town. Heading here you might choose to stay at invariably striking Montage Laguna Beach. Let the ocean breeze help to soothe your soul during your time at this ocean side retreat. 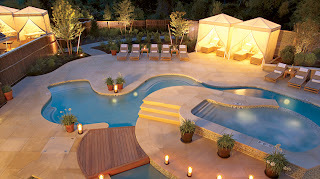 The spa, artfully designed mosaic pool and hotel shops will guarantee you want for nothing during your time here. Dine at one of the delicious venues and find a masterpiece in the from of food. Sip a tasty California wine and find what so many people already know, Laguna Beach is happy to have you join them in a monumental life experience. Happiness should never be taken for granted. When planning a trip, no one wants to be around sorrowful or ungenerous people or places. So when you are ready to start planning a trip to the coast, maybe check out these overly jovial towns that would gladly receive you and your travel companions to their hometown. Merriment, peace and cheer can be found when you travel to the place where beauty meets the sea.